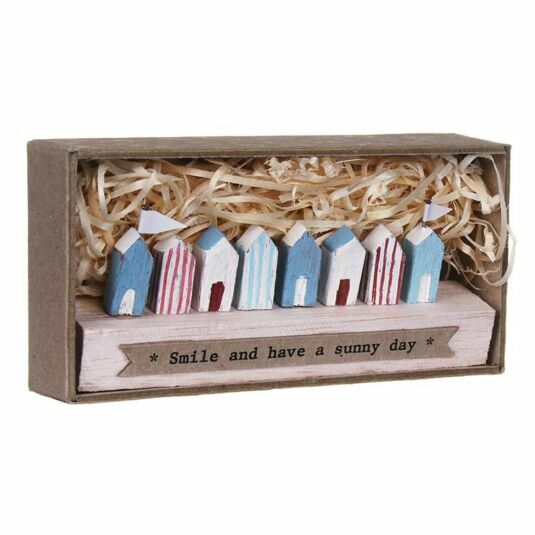 Everyone needs cheering up now and again, and this seaside-themed wooden ornament certainly does that! 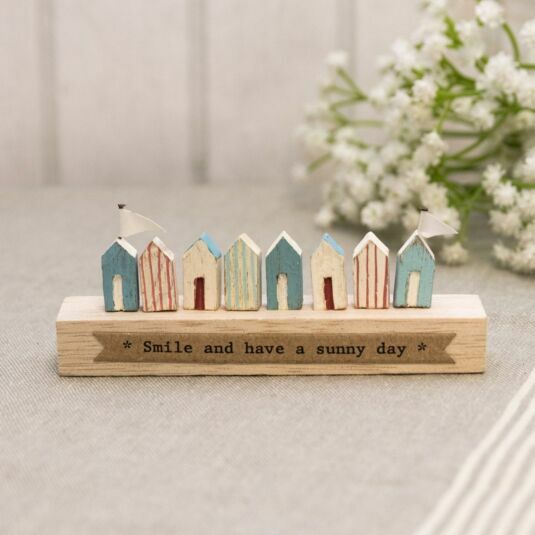 Even if it’s raining, this little stretch of vintage coastline will remind you that there is always the summer to look forward to, and days on the beach to enjoy! 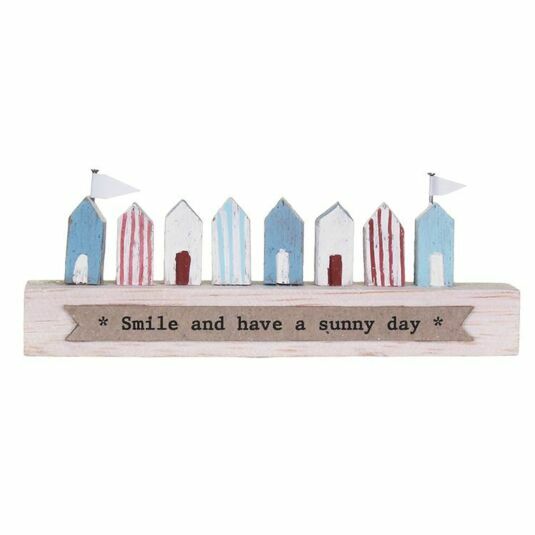 This East Of India Wooden Ornament would make a welcome addition to any style of house, big or small, classic or modern, and would be a great gift for new homeowners to help fill their home with love and colour. 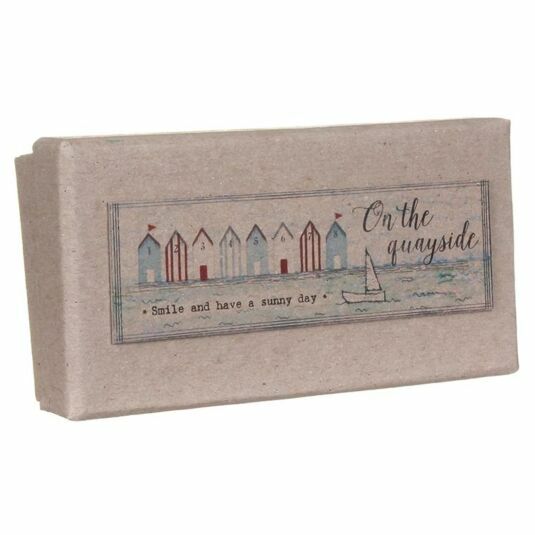 It is presented in a matching box which is decorated with an illustration of the beach huts with a little boat sailing in front of them, with the words: On the quayside.